On the undercard of the heavyweight Prizefighter show at the York Hall tonight (Thursday), Olympic gold medallist Anthony Joshua scored his 3rd professional win when he stopped Hrvoje Kisicek in the second round after dominating the fight. Joshua, 24, (3-0, 3KOs) took his time and boxed very well behind his jab in the first round, countering his smaller opponent while staying relaxed and balanced in his work. When Joshua opened up with combinations Kisicek looked worried, he was game though and put up a fight back, even catching Joshua with a cheeky open gloved hook around the head, but Joshua was in command. Joshua always looks dangerous, powerful as he hunts his foe. He has good footwork too to go with his impressive stature and his clever boxing brain. In the second round, Joshua slipped into second gear and put a bit of meat behind the shots and right hand left hook landed and dropped Kisicek. He got up, but the shots hurt him and was looking a mile out of his depth. The referee let the fight go on and the rookie Brit went in for the finish, letting the shots go he had the Croatian reeling against the ropes and the ref stepped in to stop the fight. Joshua started his pro career with a first-round stoppage of Emanuele Leo on October 5 at the O2 in London and then three weeks later stopped Paul Butlin in round two at the Sheffield Motorpoint Arena. 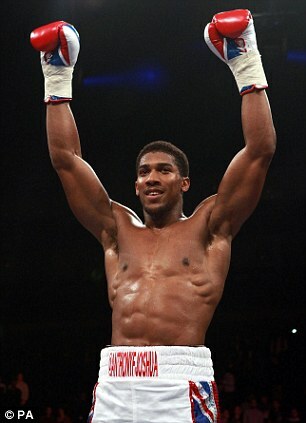 Joshua will fight again in nine days time in Manchester as part of the Carl Froch – George Groves undercard when he fights Hector Alfredo Avila and then the Watford-born boxer returns to the ExCel in London where he won his Olympic gold medal when he takes on on Dorian Darch in what could be his toughest test to date. Joshua’s cousin Ben Ileyemi, had his second professional win on the same London bill outpointing Uganda’s Moses Matovu.